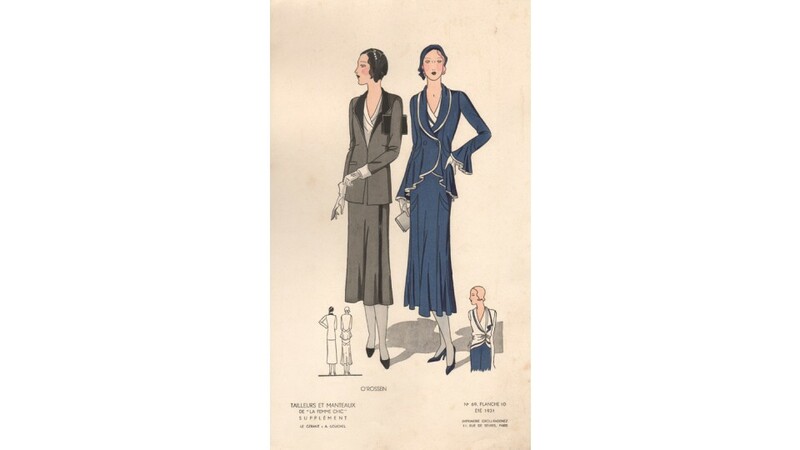 'La Femme Chic' was published in Paris by A Louchel. 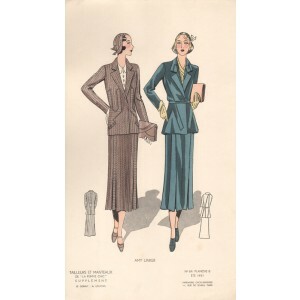 It consisted of a number loose plates within a paper wrapper and was published eight times a year. 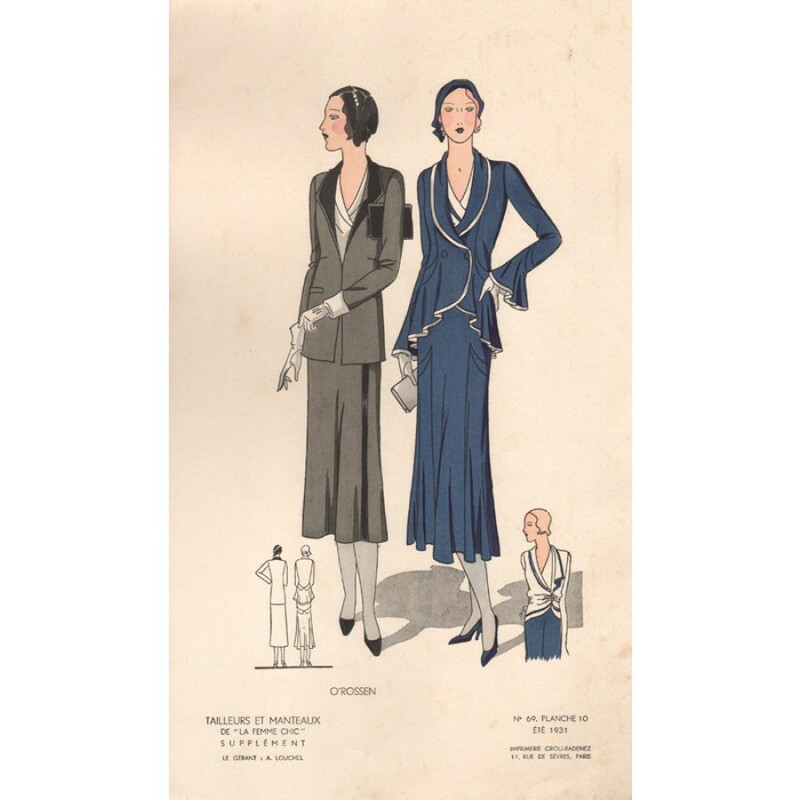 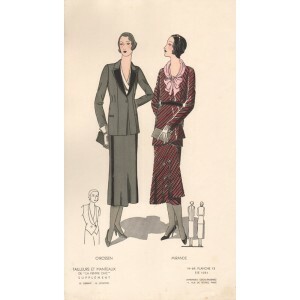 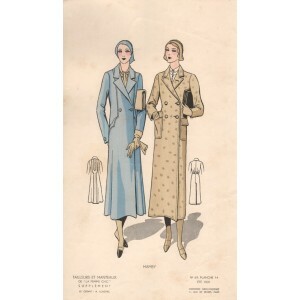 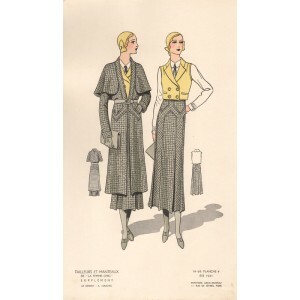 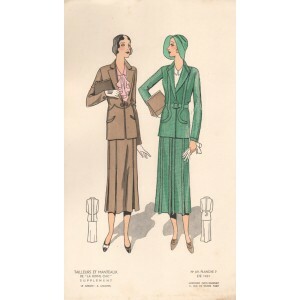 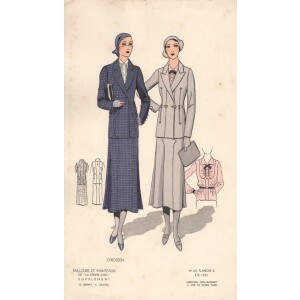 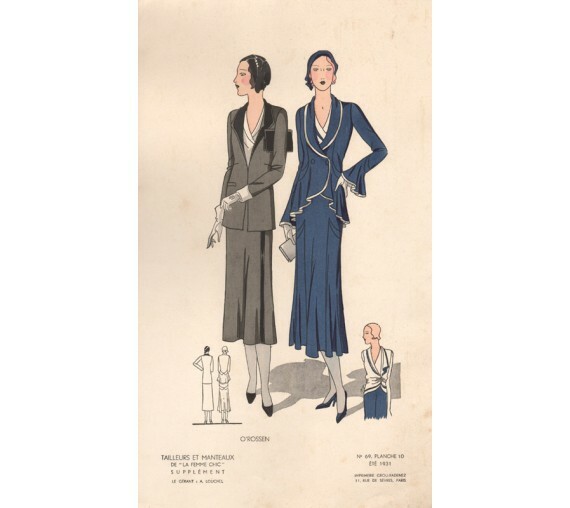 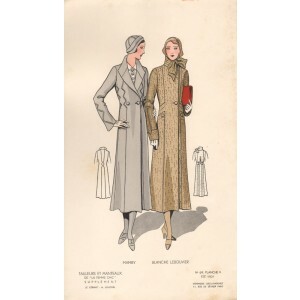 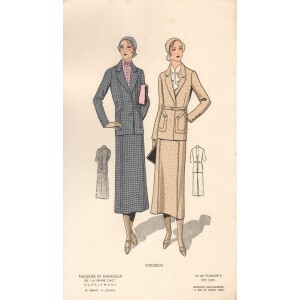 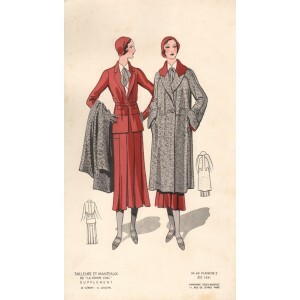 This design represents 'Summer 1931' and was intended to provide provincial couturiers with designs for them to reproduce. 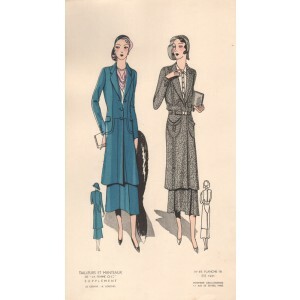 Some light soiling at edges of sheet.